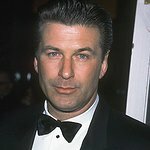 In a letter sent this week on behalf of PETA, actor Alec Baldwin is calling on the U.S. Department of Agriculture (USDA) to ban bear pits. Addressing Secretary of Agriculture Tom Vilsack, Baldwin notes that while bears in the wild spend their time exploring diverse terrain, foraging for food, and digging in soft earth, captive bears are confined to cramped and barren concrete pits, which can lead to psychological distress, arthritis, pressure sores, and other painful, debilitating conditions. Baldwin is also urging families to stay away from roadside zoos this summer in a new video for PETA: “People talk about the right to bear arms. After seeing this video, you might want to push for the right to arm bears.” The video, available here, goes on to show some of the several hundred bears who are displayed across the U.S. in tiny cages and barren pits, where they have little to do but pace in circles, beg for food from tourists, and break their teeth by gnawing on cage bars. To date, PETA — whose motto reads, in part, that “animals are not ours to use for entertainment or abuse in any other way” — has rescued more than 50 captive bears, including Fifi, a Syrian brown bear who spent more than 30 years in a barren cage at a ramshackle roadside zoo, and transferred them to reputable sanctuaries.